It’s a very popular notion in the church that God has the one exclusively reserved for you to marry, and he/she is the one that God has designed for you exclusively and reserved for marital bliss and this one person is God’s perfect will for you. The problem with this notion is that it has almost NO biblical evidence. Note: I approach this topic fully aware that it is a very sensitive and an important topic and many life altering decisions are made based on information related to this subject. I will make an honest attempt to shed light from the word. In this post, I want to examine the question I posed in the blog title and share what the Bible says about it. Does God have one person created exclusively for me to pursue and marry? The simple answer that most Christian leaders would give you is NO, why? Because there is not a single scripture that we can confidently attach to this idea that God has someone exclusively created for you. But a simple answer is not what you came here for did you? Let’s dive in. I’m sure you will agree that all the 3 incidents are extraordinary in nature. Prophet Hosea was asked to marry a prostitute in the city as a prophetic illustration. Joseph was engaged to Mary and when he found she was pregnant by the Holy Spirit with Jesus, he decided to call off the marriage and God intervened and instructed him to not to call off the marriage. Lastly, Adam and Eve were united by God. Paul, who speaks frequently about marriage and spousal responsibilities, has never mentioned this idea that God has one person reserved for you to marry and that you are supposed to pursue God and wait till he/she is revealed to you by God. Paul lays out the only pre-requisite for anyone who is looking forward to being married, do not be unequally yoked, marry in the faith. “There are other reasons why I don’t believe God has a spouse ordained for everyone. For one, it makes no logical sense. Think about it. Suppose God predestined that John will marry Jane, and suppose John marries someone else or never gets saved. Then what is Jane supposed to do? Marry outside of “God’s will”? It’s rather obvious that this model isn’t making logical sense and may lack practical applications in some contexts. So, I think it is safe to conclude that there is enough information (or the lack of it) to doubt the notion that God actually has one person created for each of us to be married to. 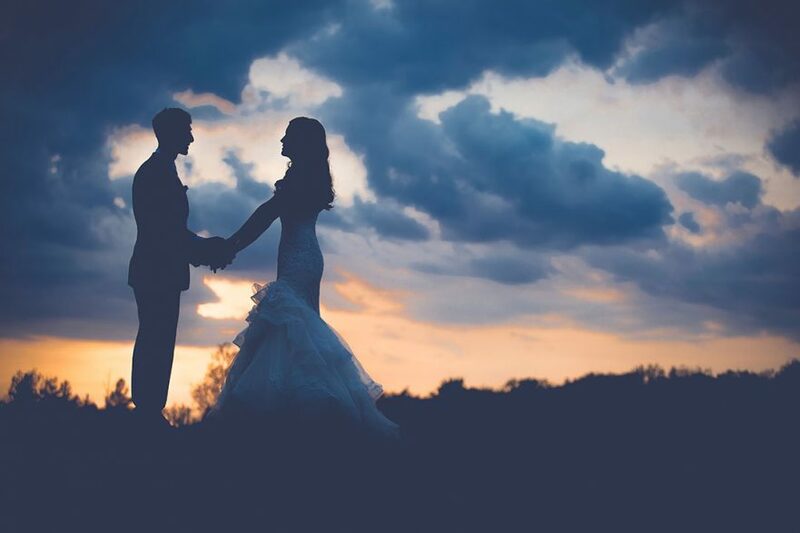 Is marriage a decision we make independent of God? How can a God who counts the strands of hair on my head, who knew me in my mother’s womb and called me to a divine purpose in life not want to play a role in my marriage? It seems contrary to God’s nature to not have a say in whom I choose to marry. When I began to come to terms with all the information I shared with you in the first half of the post, to say I was perplexed is an understatement. Because all of this led me to one question, is marriage a decision we make independent of God? Absolutely not! God wants to be intimately involved in every decision you make. He keeps a count of the hair on your head and I’m pretty sure He wants a piece of this cake. Which leads me to the point that, God can approve, affirm, confirm and encourage a decision I’m making or disapprove, discourage and even warn me about the decision I’m about to make. The grounds for Him to approve or disapprove may lie in His sovereign will concerning my life or his foreknowledge of the future concerning my life or any other mysterious reason that only He knows. To completely eliminate God from this important decision making process seems foolish and if we are going to make this decision prayerfully, we do so with the expectation that God is going to lead us that He is going to approve of it or disapprove of it. I don’t see how He is going to be passive or apathetic about it given the gravity of the choice. If God has individual purposes for people, a destiny for people to live out, then surely that destiny must account for the decision of marriage, because marriage is also the union of destinies. Two radically different destinies cannot co-exist because their paths are different. And if marriage is a decision left exclusively to the human faculty then, how does God balance the advancing of His purposes and compliment man’s free will? I believe God’s purposes are always advanced through people who have yielded themselves to God and His purpose. So, it’s fair to assume that two believers who have completely yielded to God can be united by God to serve a combined purpose together in marriage. God can choose to bring people together based on the uniqueness of his purpose in their lives. Let me quickly summarize, we do not have Biblical proof for the idea that God has pre-ordained one person to marry a particular person. In the same breath, we cannot conclude that it’s the wisest idea to marry anyone we want, even if they are Christians. The healthy place is to realize that God wants to be a part of this decision making process and as a part of the process, God may answer my prayers affirmatively or He may admonish me to reconsider my decision based on His foreknowledge of the future and His purposes over my life. Lastly, God is working out His sovereign will in and through my life and marriage. I hope this post has helped you understand God’s heart in this matter, let me know what are your thoughts about the topic in the comment section.